Keep your card in their hands, not buried in their desk! Perfect for cleaning mobile devices like iPods, iPhones, iPads, smart phones, computer and TV screens, DVDs, eyeglasses, and more! Cleans, informs, and connects. 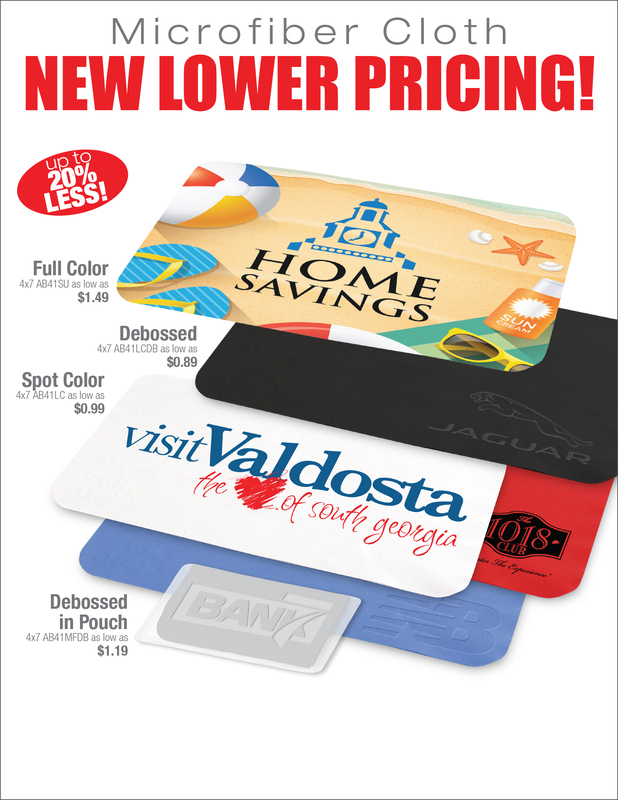 The full-color microfiber cloth folds up in an optional 2.5" x 4" vinyl pouch, featuring your message in front. Pouch: 500 units/9 lbs per box. Box size: 10 x 8 x 6 inches.